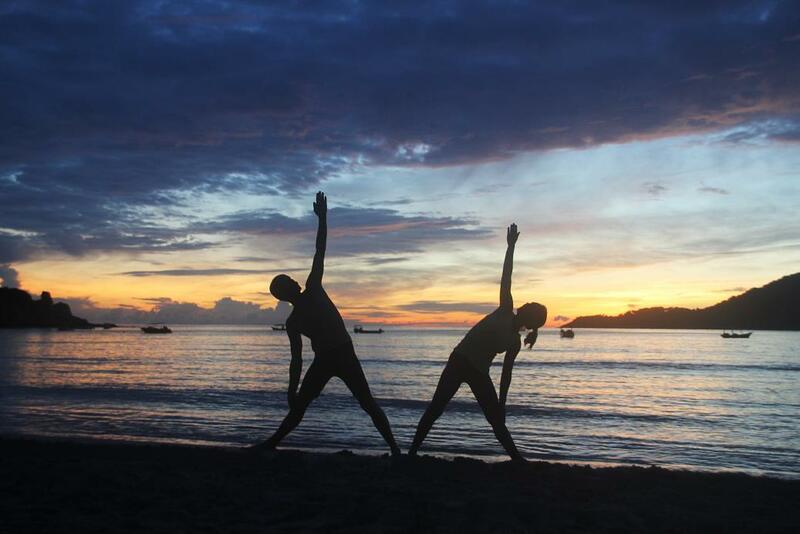 we enjoy sunrise and sunset Yoga directly on the beach, being inspired by the endless variations of colours on the horizon. Breathing the fresh oceanic air, going deep in meditation and relaxation, facing the flow of waves in steady asana postures. We give classes in Hatha Yoga including purification, pranayama, yoganidra, meditation, asanas … Besides the Yoga classes you learn some techniques of Thai-Yogamassage to improve flexibility in partner work. Lectures about Indian philosophy we can add optionally for those interested in it. To go deeper into the Thai-Yogamassage there is the option of continuing in a following week of Thai-Yogamassagetraining. Arrival on your own. We are happy to support you in finding an accommodation. In September 2014 we offer a HATHA YOGA INTENSIVE course including an introduction into THAI YOGA MASSAGE. 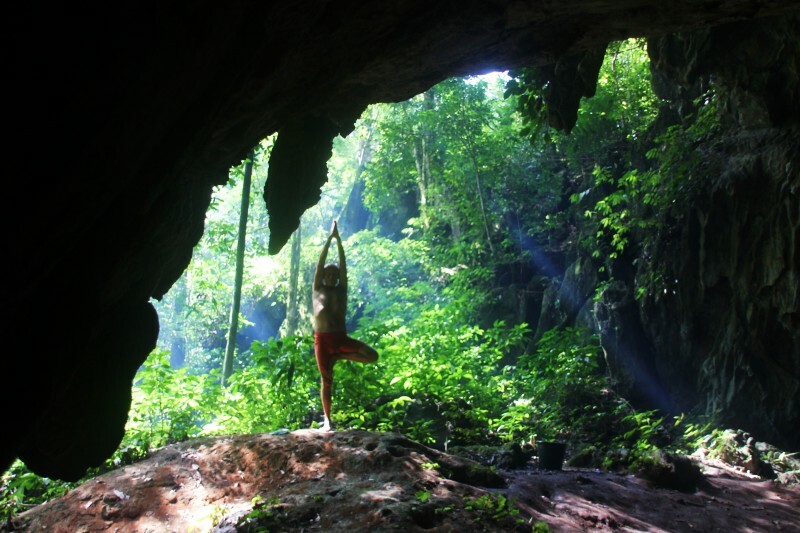 Part of the course are 2 TREKKING trips into the jungle, moving into Yoga in natural surrounding: caves, waterfalls, huge trees… and of course Orang Utans…. 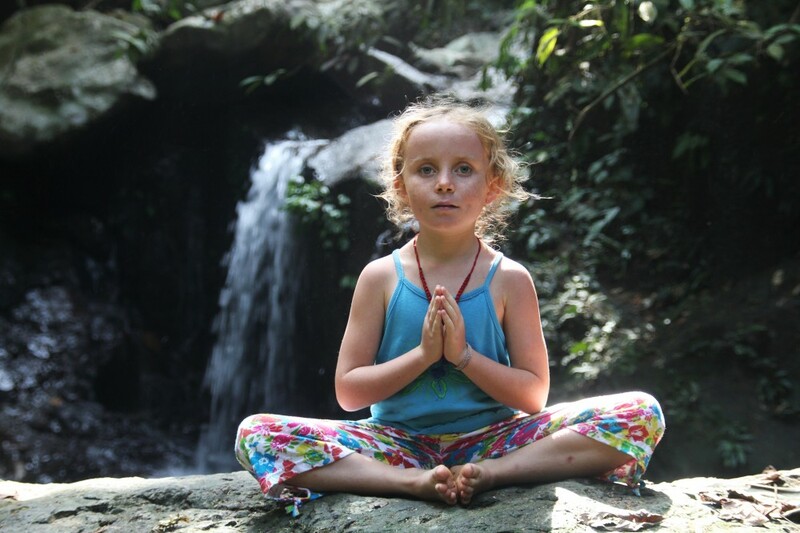 The teaching is directly in nature and gives the unique possibility of feeling one of the last rainforests on earth with all senses. We can feel a strong connection with mother earth and a new creativity to experiment with the healing power of nature. You have the possibility to get additional Thaimassage, Shiatsu or Reiki from Niels and Devaki. >> Details we will write soon! We offer yoga and thai massage in Rishikesh, India. If you are interested, send us an email!